Here is our Match Report from Thursday evening's FA Youth Cup - First Round clash between Doncaster Rovers and Walsall. 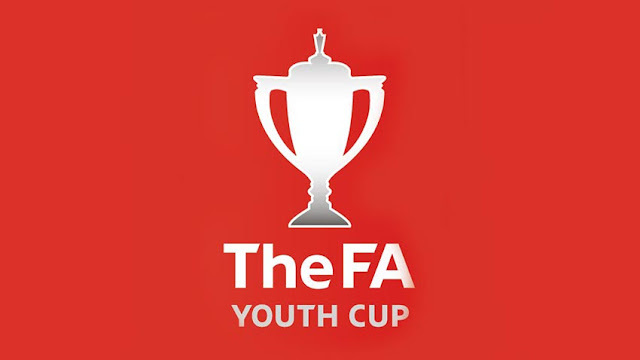 Walsall's Under-18s returned to action on Thursday evening as Graham Biggs' side travelled North to the Keepmoat Stadium to take on Doncaster Rovers in the First Round of this season's FA Youth Cup. Here is our Match Report. Rovers forward Lewis Scattergood got the game underway following Referee David Jarvis' whistle, but is was the Saddlers who had the first notable effort of the game as hot-prospect Mitchel Candlin forced 'keeper James Leverton to act and block his effort after he broke free of the defence. Doncaster's first shot came after thirteen minutes as Scattergood lifted the ball over Brandon Ganley's bar. A superb effort, but not enough to test the Saddlers stopper. The Saddlers suffered an injury blow midway through the first half as centre-half Ben Kendrick was unable to continue. He was replaced by last season's Under-16s Player of the Year, Tom Leak. Unfortunately for Walsall, it was Doncaster who took the lead as Rovers Captain Morgan James sent a low ball across goal, with Saddlers defender Joe Brown unfortunately tapping home. The Saddlers didn't dwell on the goal and would go on to equalise around four minutes later as left-back Cody Fisher advanced up the pitch and saw his cross parried into the back of the net by Rovers 'keeper Leverton. Walsall went on to take the lead a few minutes before half-time as Kian Flanagan, younger brother of first-team midfielder Reece, was alert to slot home following Stefan Mason's parried effort. Doncaster went close to levelling the scores early in the second-half as Jordan Tucker sent the ball across the face of goal, but Rilwan Olaosun couldn't get a strong enough connection as the Saddlers remained in the lead. Walsall added to their lead just over ten minutes into the half as Mitchel Candlin tapped home following Stefan Mason's alert play to pressurise the defender before rolling the ball to Candlin, who gave made no mistake. Graham Biggs made his second change of the game shortly after the Saddlers scored their third as midfielder Kian Flanagan was replaced by Owen Nolan. Doncaster would soon make some changes of their own as Matthew Overton and Keegan Townrow replaced Brandon Horton and Rilwan Olaosun. Walsall 'keeper Brandon Ganley had to remain alert despite his side's fairly comfortable lead as Cody Prior would find space in the area and send a header towards goal from Danny Amos' corner ball. A comfortable save but also a sign of things to come. Doncaster pulled a goal back shortly after Prior's header as Lewis Scattergood sent a superb overhead kick past Ganley. Unbelievably the host would go on to level the scores just moments later as substitute Matthew Overton smashed the ball to the left of the 'keeper from outside the area. A terrible couple of minutes for the young Saddlers as the scores were level once again. As the match reached its seventieth minute the home side made their third and final change as Scattergood was replaced by Myron Gibbons. Gibbons went close to putting his side into the lead around ten minutes after taking to the field as he went one-on-one with the Walsall 'keeper, thankfully for the Saddlers, Ganley remained alert and managed to snuff out the threat as the scores remained level. Doncaster continued to dominate the scoring in the second-half and took the lead seven minutes before full-time as Myron Gibbons beat the offside trap and slotted home. A disappointing goal for the Saddlers as time ticked away. Graham Biggs rolled the dice and Ben Friel replaced Joe Cairns, not much time for the substitute to make a mark as the tie neared its conclusion. Gibbons' goal proved to be the crucial one as Rovers won the match and advance to the Second Round of the competition, a disappointing result for the Saddlers but not for the lack of trying.